On Sunday we celebrated Palm Sunday. We welcomed the children and their parents who will make their First Communion in May. They joined with the Family Mass group in the blessing of the palms by Fr Harry. 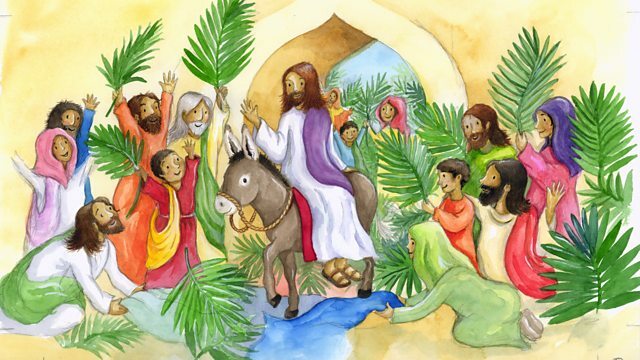 Everyone processed into the Church to celebrate Mass waving their palms with enthusiasm, while singing along with the choir ‘Sing Hosanna.’ Once again the choir were in fine voice and the children and adults were at their best as they led us in prayer. In our prayers we referred to our good deeds for Lent and prayed that we will continue to try to be better people, that we will love and be kind to each other and know that Jesus will always be our special Friend.